Ever since Nest thermostats arrived on the scene in 2011, they managed to swipe many awards. Google was so impressed that they decided to buy Nest Labs for over $3 billion. 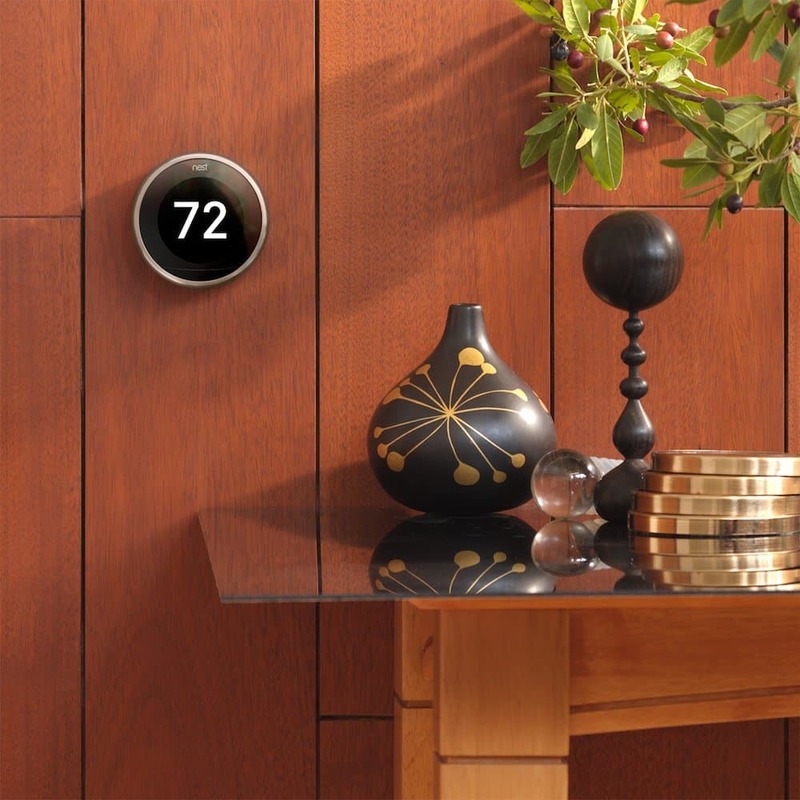 Nest thermostats are as well known for their disruptive technology as they are for their sleek design. The 3rd Generation Nest Thermostat remains the best thermostat on the market. We even chose it as our Top Pick in our guide to the best smart thermostats. It offers all of the smart home features you would come to expect from the company that invented the concept. It even brings a few new features compared to Nest 2nd gen. Many users wonder if it is worth the upgrade. If you own a Nest 2, then you already have around 80% of the features Nest 3 does. However, if you do not have a smart thermostat and you are considering a purchase, this is one of their best smart thermostats you can buy. The most striking new features of Nest 3, in terms of design, are the noticeably larger display and higher resolution. The screen is 33% bigger than the Nest 2. The new Nest thermostat can now detect your presence from about 10 feet thanks to a new feature called Farsight. Older units could detect presence from about 3 feet. Excellent interface and easy setup make this design suitable for users of all ages. 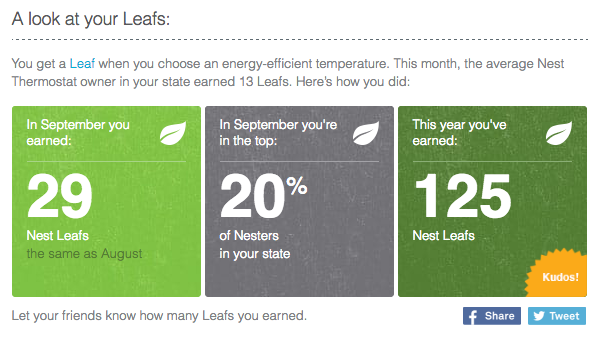 With advanced energy savings features, Nest users can save hundreds of dollars a year. Nest 3rd gen is the perfect choice for users who do not want to think much about their HVAC system and want their thermostat to do all the work. The Nest 3rd gen thermostat looks sharper and more modern than its predecessors. The screen is 40% larger and the resolution has been improved to 229 pixels per inch. The unit still has its puck-shaped look and has been also slimmed down a bit. Entering settings and passwords is quite easy by using the well-known dial method. All in all, its aesthetics make the models from Nest’s competitors look old and outdated. The Nest 3rd gen thermostat has enhanced learning features. Some of the features the previous Nest Learning Thermostat models had, including energy usage reporting, remote management, and Auto Scheduling and Auto-Away options, are also included. 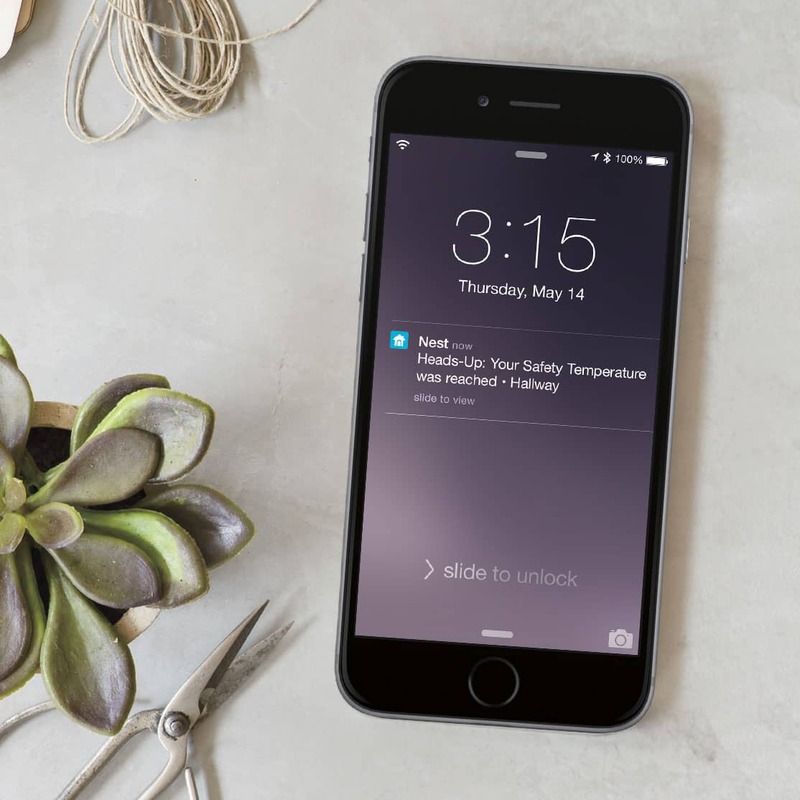 Thanks to the enhanced learning process, this thermostat from Nest will automatically create a schedule for the user based on your heating/cooling preferences. In addition, the user can see whether the changes in temperature were made because of automatic schedule changes or human interaction with the dial. 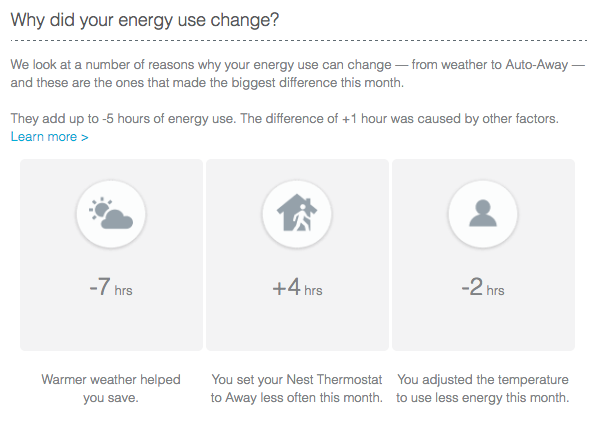 And with the monthly Nest Home Reports you’ll get to see exactly how your energy usage changes over time, how you compare to other Nest users in your area, and even track your savings. One of the new features that come with Nest 3rd Gen thermostat is called Farsight. This feature uses a far field sensor and ensures that the user can see the temperature from a 10-feet distance. Before, a person would need to be within 3 feet of the thermostat in order for it to illuminate. Now, users can sit comfortably on the couch and still be able to see the temperature in their home. Another feature that comes with this thermostat is called Furnace Heads-Up. It is very helpful for those who own a forced-air furnace system. What this feature does is prevent overheating by automatically turning off the forced-air furnace. If the thermostat senses any issues it will send you alerts via the thermostat screen, the Nest app, and the monthly energy usage mail. 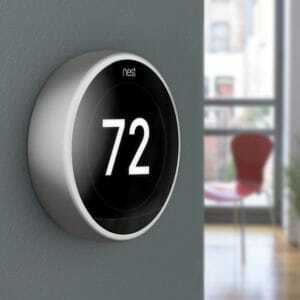 Nest also announced that they would add this feature to their first- and second-generation thermostats. Nest 3rd gen model comes with these two features that slightly improve the unit’s performance. Family Accounts allows users in the household to set up separate Nest accounts. Once multiple accounts are created, Home/Away Assist tracks the location of each user’s phone. This feature is not as good as geofencing, but it makes it easier for Nest to keep an eye on its users’ whereabouts and to make changes to the automatic schedule, if necessary. Two-year warranty which is shorter than the industry average. Can Nest 3rd Gen Thermostat Control Temperature In Different House “Zones”? The answer is “yes,” but there are certain conditions. Nest 3rd gen thermostat can control the temperature in up to 20 different zones. Unfortunately, you will need to buy a thermostat for each of the zones. In addition, your plumbing and boiler have to be set up in such a way that the boiler can heat different zones independently. Traditional gas boilers typically heat the entire house. Can Nest 3rd Gen Thermostat Connect to Other Devices? The Nest 3rd Gen thermostat can connect to many other Nest devices such as thermostats, IP security cameras, and the Nest Protect smoke detector. In addition, the unit is compatible with third-party products as well, such as IFTTT, Jawbone UP, August Smart Lock, and Philips Hue. The Nest 3rd Gen Thermostat is one of the smartest (possibly even the smartest) thermostat on the market. It is ideal for users who want a thermostat that controls their heating and cooling system instead of them. But, at the same time, those who want to be fully in charge of their home temperature will love the precision of the manual scheduling. The unit will quickly learn user’s preferred temperatures and constantly tweak its settings to create a comfortable living environment. Besides its amazing technological features, Nest is also beautifully designed and very pleasant to look at. If you want to see how the 3rd Generation Nest Learning Thermostat stacks up with the other best selling smart thermostats you can visit our Smart Thermostat Buyers Guide.